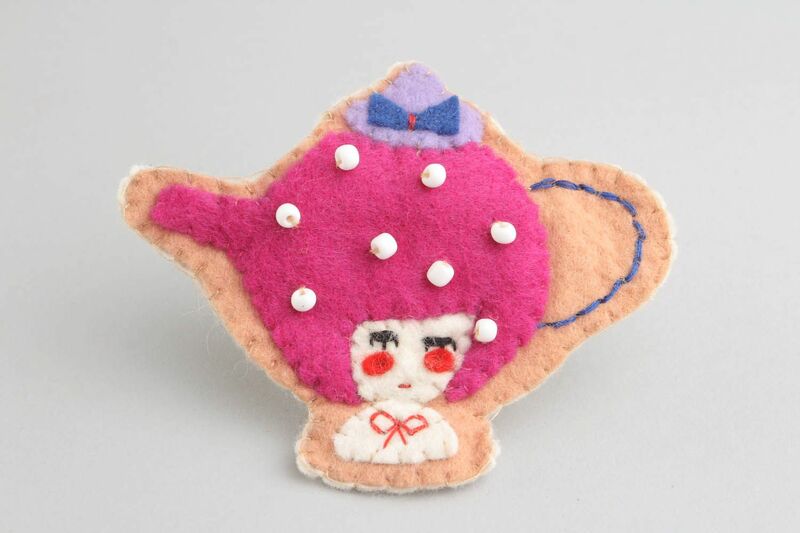 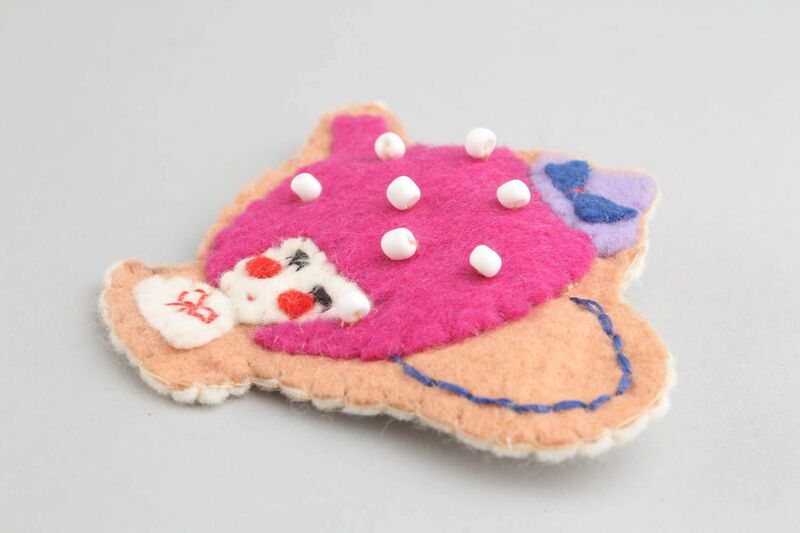 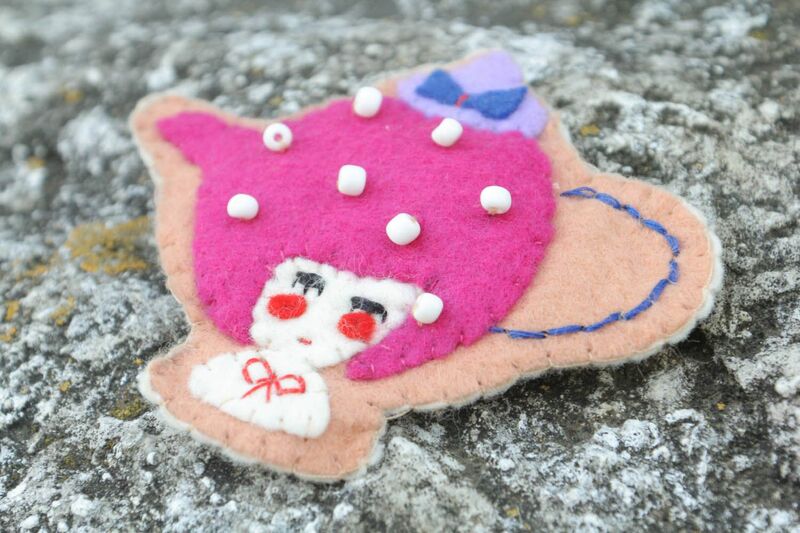 This handmade brooch is made ​​of felt and wool using the dry felting technique. 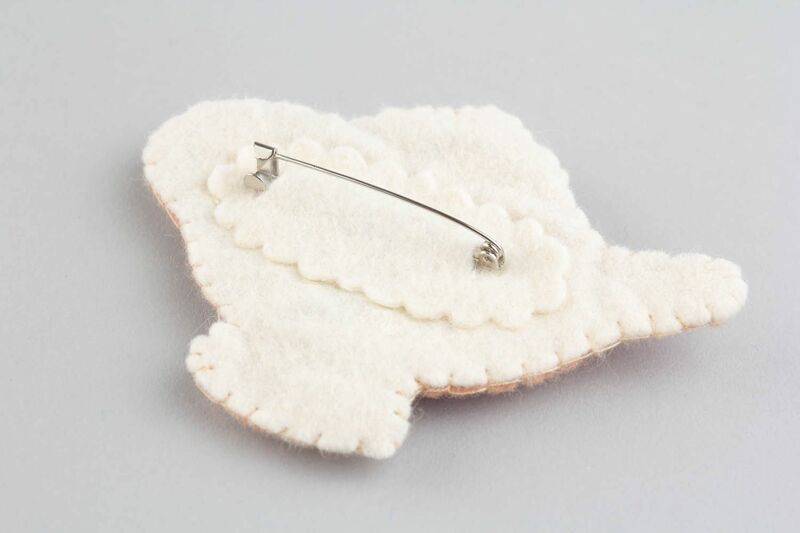 This funny brooch would be a good gift to little fashionistas. 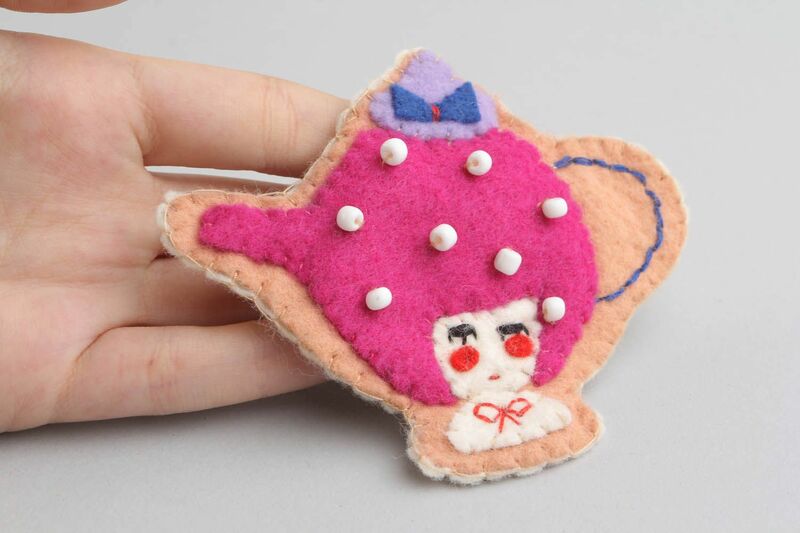 To your order I can make the product in different colors.